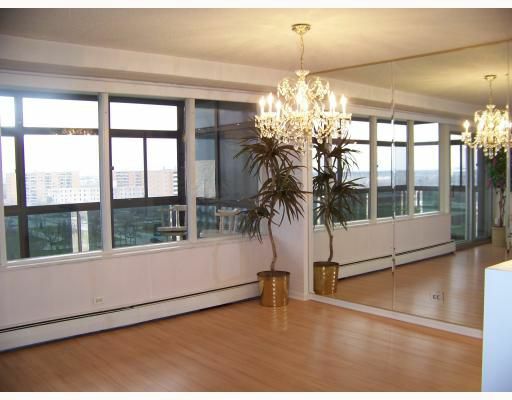 The view is amazing from this tenth floor South facing two bedroom condo in Cambridge Towers. Overlooking Pan-Am Pool and the Grant Park Shopping Center is the huge enclosed balcony. The suite features two bedrooms, excellent room sizes, and two bathrooms. Oversized underground parking spot included. Building has a lovely outdoor pool area on the second floor.